If cakes are made to eat, that cannot be said about these ones made by a Russian pastry chef. 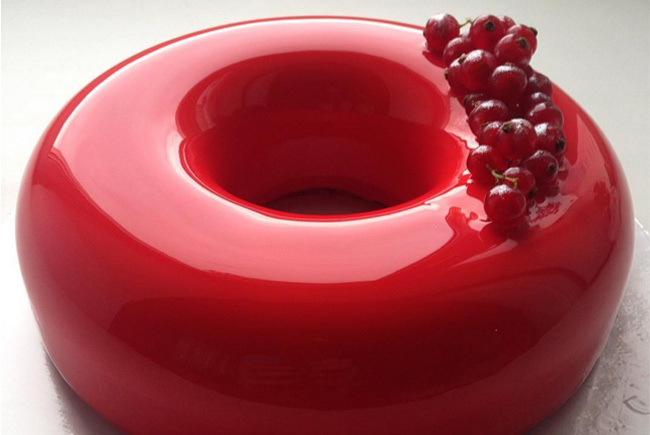 This week Internet was buzzing with photos of perfect glossy cakes and desserts made by Russian pastry chef Olga Noskova. The sight of these desserts even has perfectionists licking their lips. The cakes and éclairs look perfect. They are covered with a coating that is so perfectly glossy it looks like a mirror. Some of them are covered with 2 colors, so the dessert resembles marble. They are perfect inside and as well as outside. Even the small desserts are so perfect you just want to grab them. The cakes are so glossy you can even take a selfie in them. Every cake Olga Noskova does is perfection itself. Her wedding cakes are the stuff of girlish dreams. How does the magic happen? Click the center of the photo to see the video.